London has been crowned the most popular tourist destination in the world, by the respected Mastercard Global Cities Index report, putting the city ahead of Bangkok and Paris. According to the report, London is projected to host 18.7 million international visitors in 2014 – 300,000 more visitors than the 2013 top destination city Bangkok. Now in its fourth year, the index provides a ranking of the 132 most travelled cities from around the world. Europe boasts two of the top five cities, London and Paris, with Bangkok, Singapore, and Dubai making up the global top five. Overall, Europe boasts eight of the top 20 destination cities by international overnight visitors. Istanbul (7th), Barcelona (11th), Amsterdam (12th), Milan (13th), Rome (14th) and Vienna (1th) all make the cut. 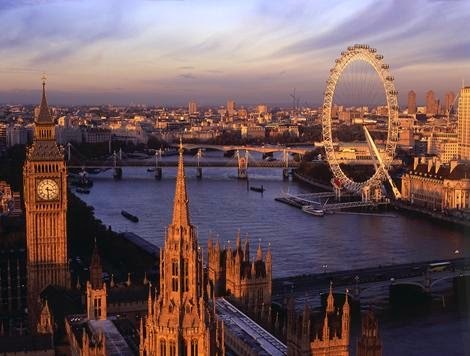 In 2013, according to the Office of National Statistics International Passenger Survey, London welcomed over 16 million international visitors in one year for the first time in history. Tourists from around the globe flocked to the city in ever increasing numbers to attend world class exhibitions, visit amazing royal palaces, dine at Michelin starred restaurants, and watch world class sporting events. Some of the major cultural events in London this year drawing millions of international visitors include ‘Ming: 50 Years that changed China’ at the British Museum, ‘Constable: The Making of a Master’ at the V&A and ‘Rembrandt: The Final Years’ at the National Gallery. Among many other 2014 events expected to capture worldwide attention is the commemoration of the 100th Anniversary of World War I with the re-opening of the Imperial War Museum this month and the ‘Great War in Portraits’ exhibition at the National Portrait Gallery. Together with an exhibition about fictional detective Sherlock Holmes at the Museum of London and the Thames River Festival in September, this year offers a feast of activities for visitors.